Retirement planning for Americans is a sad story. Looking at this chart from Kiplinger, it is no wonder most Americans are in a precarious position during their golden years. The $1,000,000 retirement figure may seem high, even by most conservative estimates. However, with inflation, higher taxes and health/insurance cost soaring in the next few years, I don't think it is a wild estimate. Growing our retirement nest will prove tricky though. For those who find stocks too volatile, they can sit on cash or invest in fixed income assets. However, you can't get rich or attain that $1 million target with the pathetically low interest rates on fixed income investments. The situation becomes even more dire if lower wages become the norm and our homes, the most valuable assets, cannot recover from the housing market downturn. Currently, the money market fund is paying less than 1%, and municipal bonds are in low single digits. By holding interest rates low and ramping up money supply, the Federal Reserve is actually punishing savers and retirees while rewarding risk takers. The banks borrowed money from the Fed via the TARP program for close to 0%, and invest it in risk free Treasuries, proprietary trading, mortgage loans, as well as charging taxpayers sky high interest on their credit cards! If we can get 8-10% interest on our savings account, we may require less than a million dollars to retire. Unfortunately, savers like us do not have access to TARP money to speculate. What we can do is to save as much of our income during our working life. Living a high life with borrowed funds, just to keep up with the Joneses is a no-no. And get used to the idea of retiring later. A key element to successful money management is to live within our means. That is easier said than done in our culture of instant gratification. Fulfiling our basic needs is taken for granted and we desire luxurious comforts before we have saved enough money to afford them. For those who are apporoaching retirement, it may seem that you have finally established yourself financially and deserve some indulgence. But your retirement needs (like medical cost, insurance, vacation, entertainment, etc) may have been underestimated and there are still outstanding debts to pay off. To ensure a comfortable standard of living during retirement, mastering money management is essential. To live within your means, you need to implement responsible money management by paying past debts first. As an example, your children’s college bills are still outstanding. If you used PLUS loans (federally sponsored education loans for parents), you have standard, graudated, extended or consolidated repayment options to choose from. You probably want to pay off the loans as soon as possible. It is better to live debt-free during retirement, as you no longer have employment income to offset expenses. It is of the utmost importance now, with retirement approaching, to avoid credit card debt. Whatever you purchase, make sure you can afford it and that it does not take away from your retirement savings. As you approach retirement, your kids will have finished their education, moved out and started their career, so they are financially independent. For the first time in many years, you may be responsible for just your spouse and yourself. With this money freed up, you have more funds to meet your retirement needs. However, you need to stay smart and rational to prevent falling prey to get-rich scams, impulse buying, stock market exuberance, or other folly ventures. I believe most people should have accumulated a comfortable retirement nest in the few years prior to retirement. 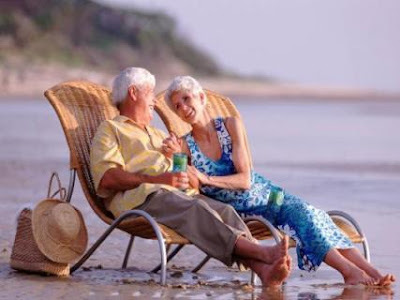 It is easy to succumb to an extravagant lifestyle with surplus cash lying around, but spending recklessly now means you could outlive your retirement funds. That is not to say you can't indulge occasionally (like buying gifts, fine dining, or a vacation) during retirement if basic living expenses are well taken care of. Investing in the future (on a conservative note) is also necessary, not so much for capital gain but to protect your purchasing power. The effects of Federal Reserve money printing will be felt keenly in the next few years, thus inflation is a threat to your wealth.